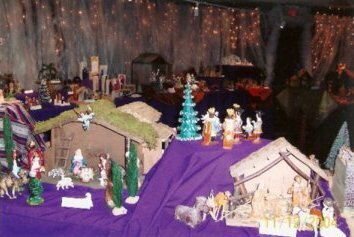 2012 marks the ninth year that the Trinity Lutheran Church will present their annual Nativity Display and Music Festival. Each year people travel from hundreds of miles to view the magnificent display which is free to the public. 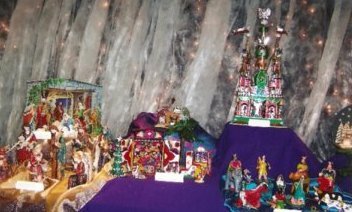 It's been called ‘The best small town nativity show in the country.’ The display has been written up in national and local magazines and newspapers. 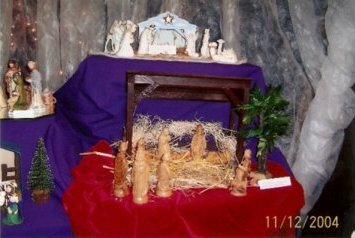 The creches are displayed in a specially decorated room that sets the mood of that night so long ago in Bethlehem, and recalls the true meaning of the season. 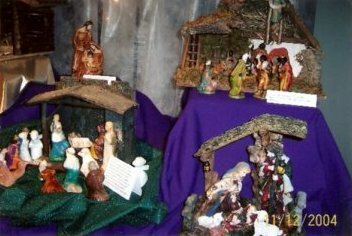 One of the most popular displays is a full-size restored display of the Holy Family that appeared in downtown Maysville in the 50's and 60's. The show also features a display of angel hangings. 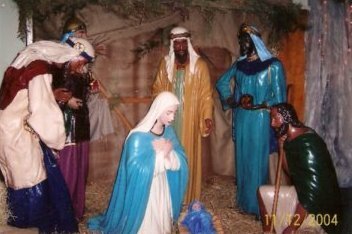 Something that is of great interest to both children and parents is a recreation of the stable where the children, dressed in provided costumes, may have their pictures taken. Modern technology allows the children to have their picture in hand in just minutes. The photo makes a wonderful remembrance. There is no charge for the photographs. Children will also receive a free gift suitable for their age. We hope that this event will not only be a feast for the eyes, but will also be a feast to the ears of those attending. We will have several church choirs, soloists, and ensembles that will be offering music of the season throughout the days. You may enjoy the music either in the sanctuary or while viewing the creches from around the world. We hope you and your friends can attend this amazing display. Trinity Lutheran church is located at 621 Parker Road in Maysville, across the street from the Maysville Long Term Care facility. See the map link on the “Church Map” page for directions to the festival. The display is open Saturday, Dec 8, from 11a.m. to 5p.m. 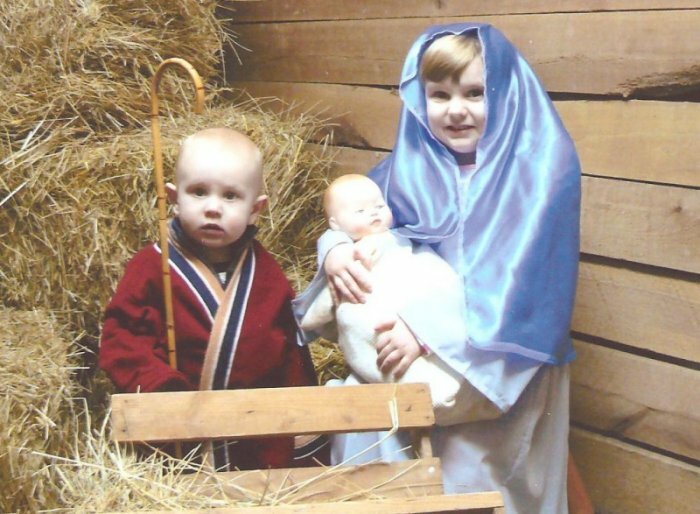 and on Sunday, Dec 9, from noon until 4 p.m.
Trinity Lutheran 2008 Nativity Show.